most efficient school transportation possible. basis during the school year. 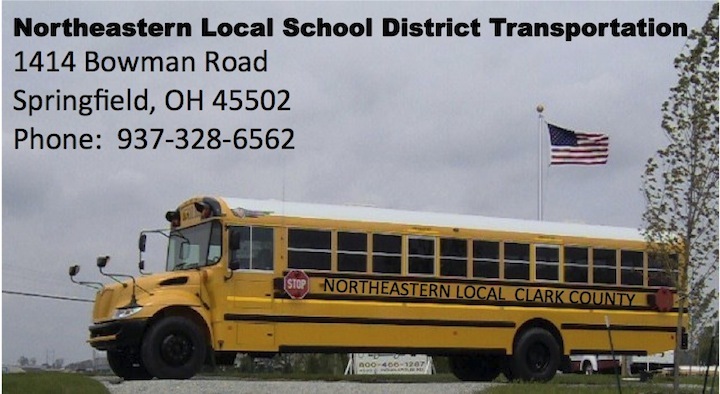 The Northeastern Local School District has strengthened their commitment to cleaner air by continuing to replace our aging fleet with new buses featuring "Clean Diesel" technology reducing the amount of air contaminants in the engine exhaust. The EPA estimates a reduction of 58.8 pounds of fine particulate pollutants (soot), a 897.6 pound reduction of carbon monoxide, and a 288.2 pound reduction of hydrocarbons over the older diesel technology. This will result in a 54% reduction of the pollutants from the older buses. The district intends to continue it's efforts to purchase additional buses with pollution reducing technology.